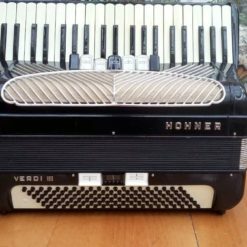 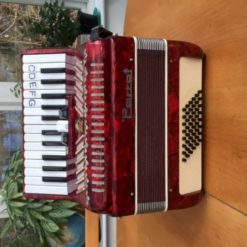 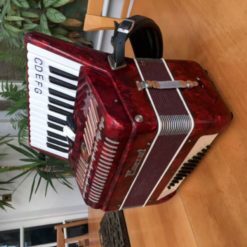 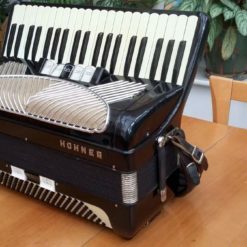 A German-built instrument for players on a budget. 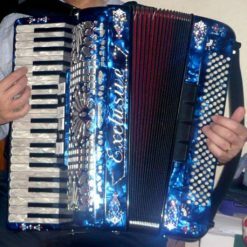 It has three sets of treble reeds (16’+8’+8′) with no cassotto and the tuning is a medium wet tuning. 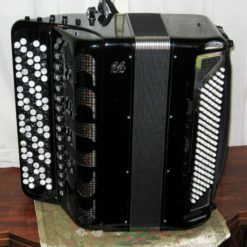 The left hand has 120 standard basses and 4 sets of bass reeds. 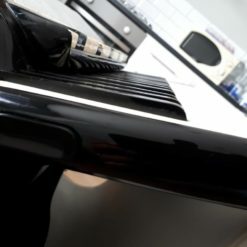 The reeds are of the budget variety but produce a decent enough tone. 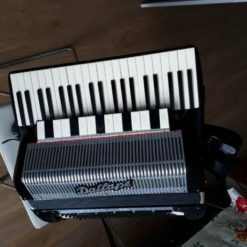 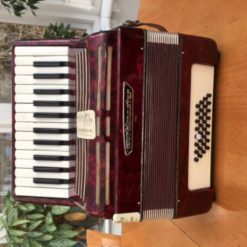 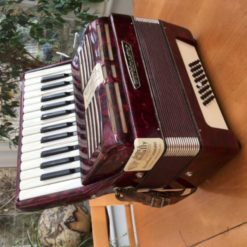 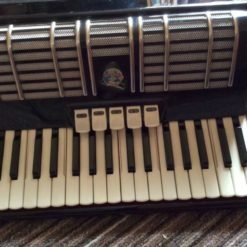 The accordion is in reasonable condition and the tuning is also reasonably good. 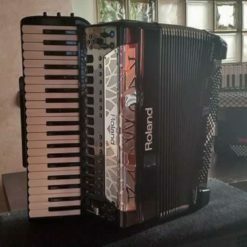 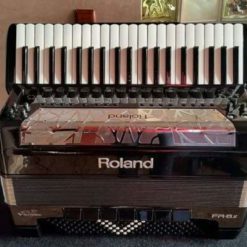 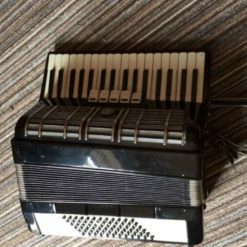 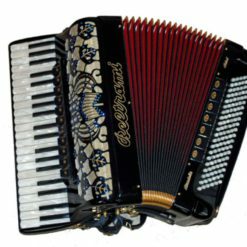 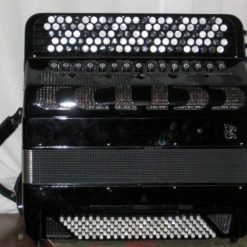 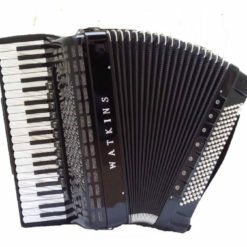 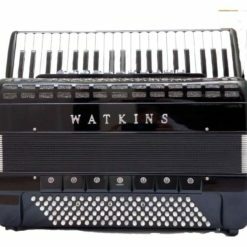 The accordion is finished in black celluloid and has stepped keys in the right-hand manual. 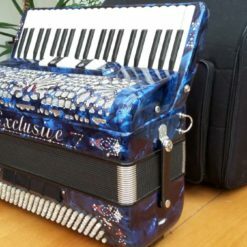 Comes with original belts and fibre case.